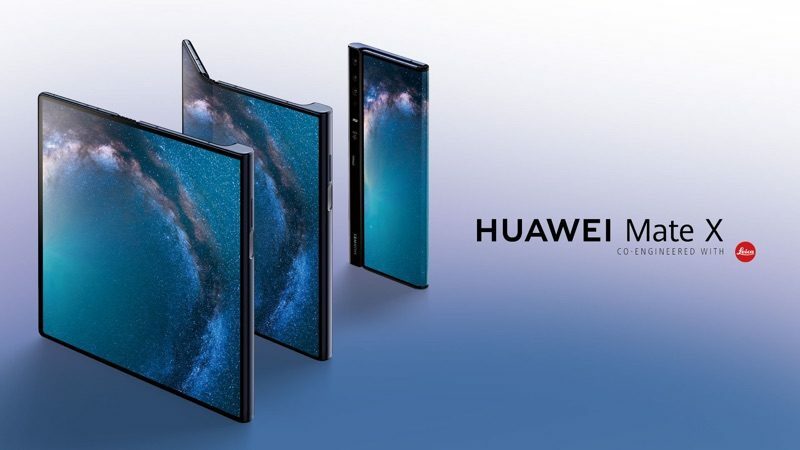 Not to be outdone by Samsung, Chinese smartphone company Huawei today unveiled its own foldable smartphone at Mobile World Congress, the Huawei Mate X. 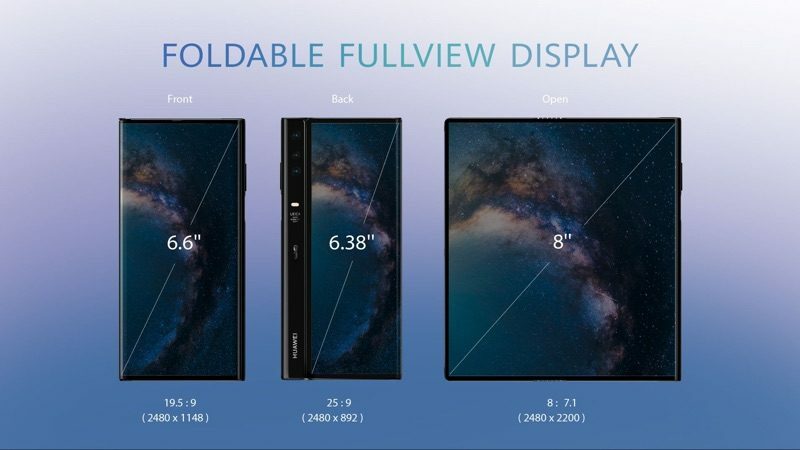 The Mate X uses what Huawei calls a “Falcon Wing” design with a stretchable hinge that allows the smartphone to transform from a 6.6-inch OLED smartphone to an 8-inch OLED tablet, making it bigger than Samsung’s recently introduced Galaxy Fold. 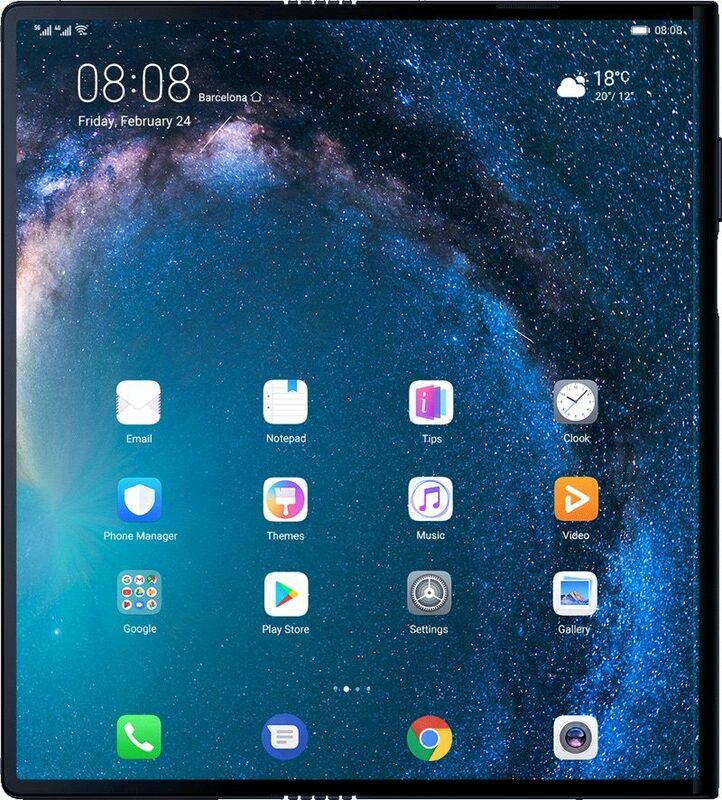 Huawei designed the Mate X to fold in the opposite direction of Samsung’s Galaxy Fold, so the display is visible on both the front and back of the device when collapsed down to smartphone view. 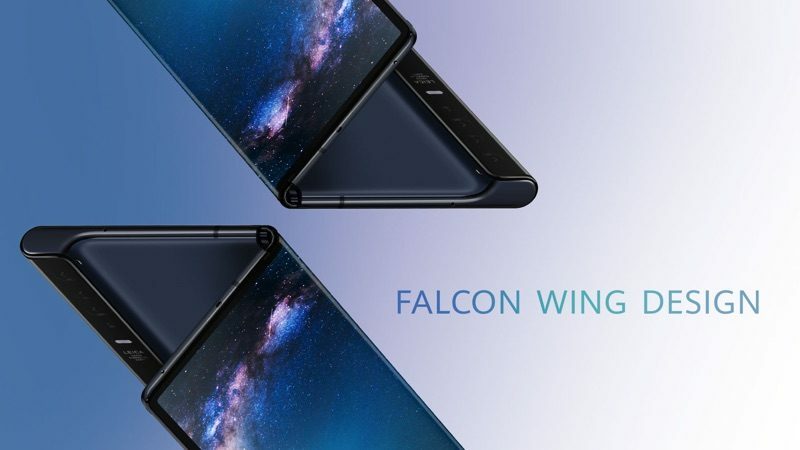 The “wing” at the side houses the camera and allows the Mate X display to be notch free. When folded, it measures in at 11mm thick, but when open, the device is just 5.4mm thick. There’s a multi-lens Leica camera included, and the design of the Mate X allows for the front and rear cameras to use the one camera system for selfies and rear-facing images of the same quality. The Leica camera system includes a 40-megapixel wide-angle lens, a 16-megapixel ultra wide angle lens, and an 8 megapixel telephoto lens. There’s also a fourth camera that will be activated later. Like Samsung, Huawei plans to focus on multitasking, allowing the Mate X to be used split screen. Samsung has developed an App Continuity feature that keeps the same app open regardless of whether its Galaxy Fold is open or closed, and Huawei could be planning something similar. Huawei is equipping the Mate X with a 5G modem, which will allow it to connect with 5G networks for futureproofing purposes. Samsung’s Galaxy Fold also offers a 5G option. 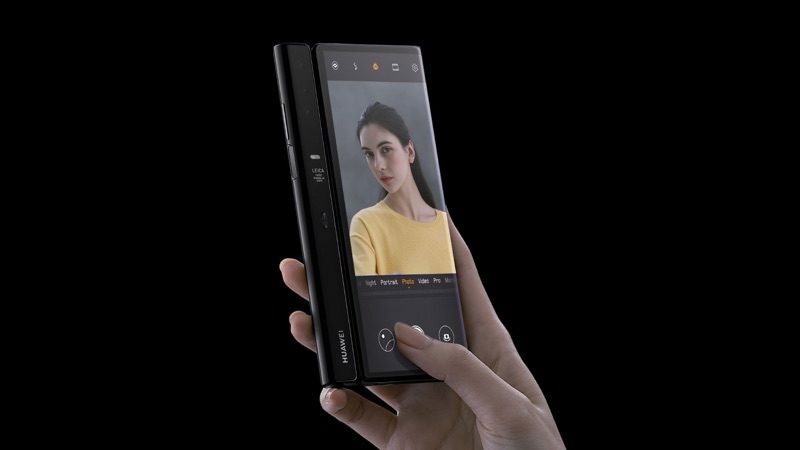 A fingerprint sensor is integrated into the power switch for biometric authentication purposes, and Huawei says that the Galaxy Fold features a 55W SuperCharge feature that lets the included 4,500mAh battery charge to 85 percent within 30 minutes. Samsung is pricing its Galaxy Fold at $1,980, which shocked many people when it was announced, and as it turns out, the Mate X is even more expensive. Huawei will charge 2300 euros for the Mate X, which translates to a whopping $2,600. 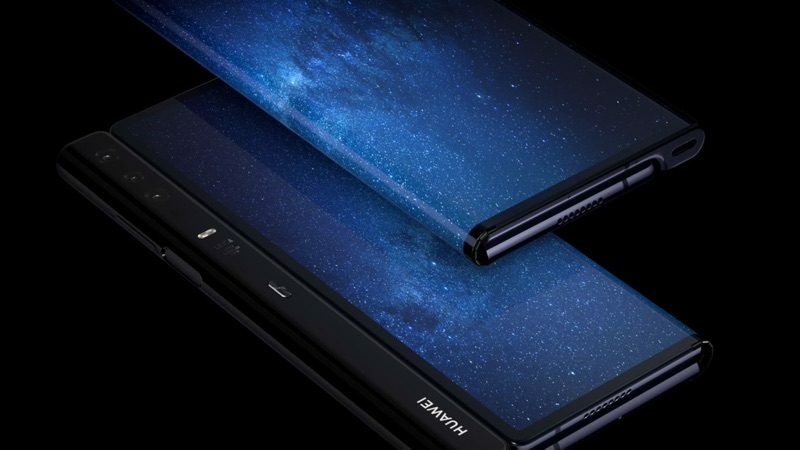 While the Galaxy Fold will be available in late April, Huawei’s version won’t go on sale until June or July. It’s not clear if the Mate X will be available in the United States, but it is unlikely given Huawei’s conflicts with the U.S. government. There have been some rumors suggesting that Apple is exploring folding screen technology, and that multiple folding smartphones are coming to the market likely means this is something that the Cupertino company is looking into, but right now there are no rumors indicating Apple plans to actually release a foldable smartphone in the near future. It’s not yet clear if the foldable smartphone trend will catch on and dictate the future of the smartphone industry or if it’s a fad that will disappear a few years down the road.